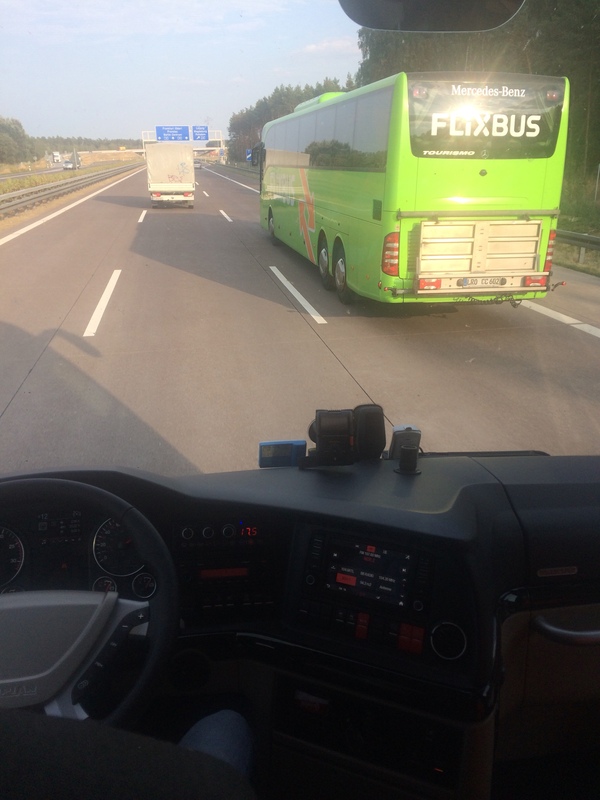 I had booked us on a “Flix” bus from Hamburg to Berlin because we wanted to experience the drive on the Autobahn. 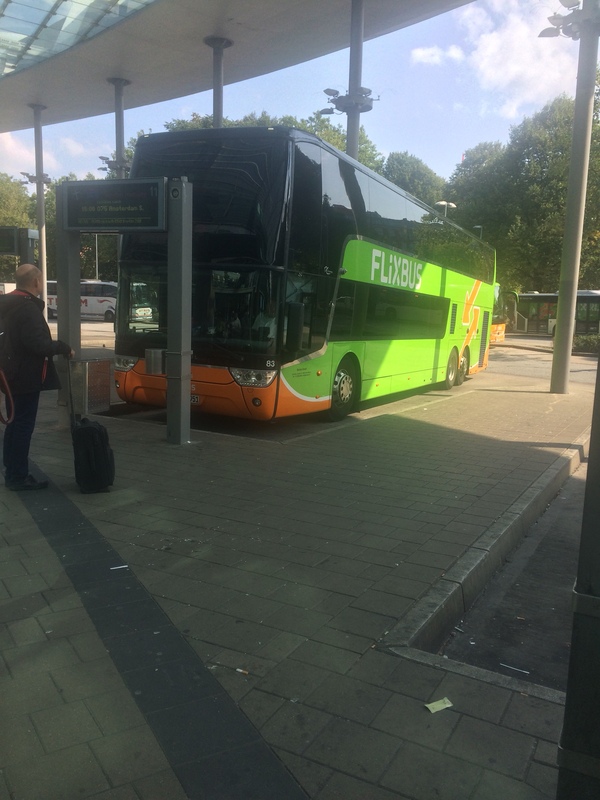 Our 3 pm bus got canceled, but Flix buses have a policy of shifting all their passengers to the next available bus or refund their money. We got onto the 3.15 pm bus and even managed to get the front row seats just the way we had booked ! Our happiness on getting the front seat was a little short-lived when we realised that there was no charging point on the front row seats while all the other seats had them :). We were also disappointed that there was no wifi because James, our Airbnb host’s father had told us that the wifi on Flix buses was good. 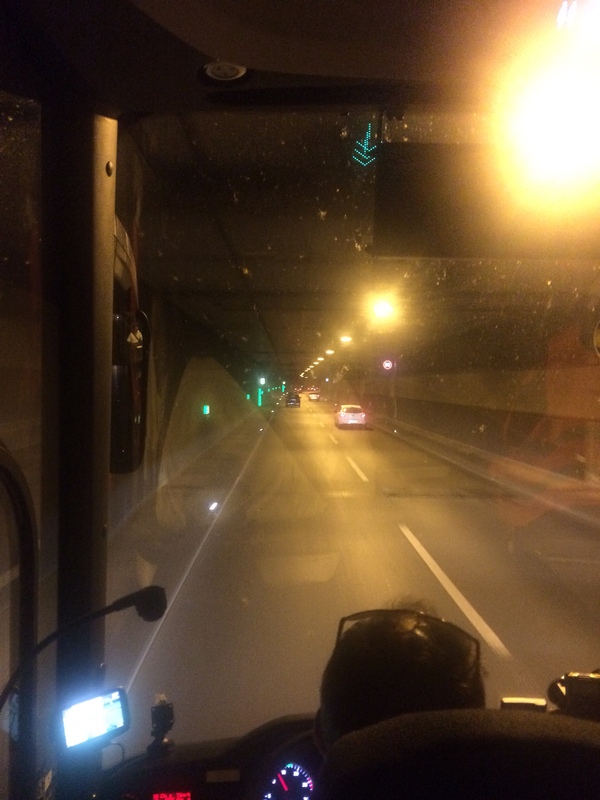 We caught up on our sleep as the bus got onto the Autobahn. 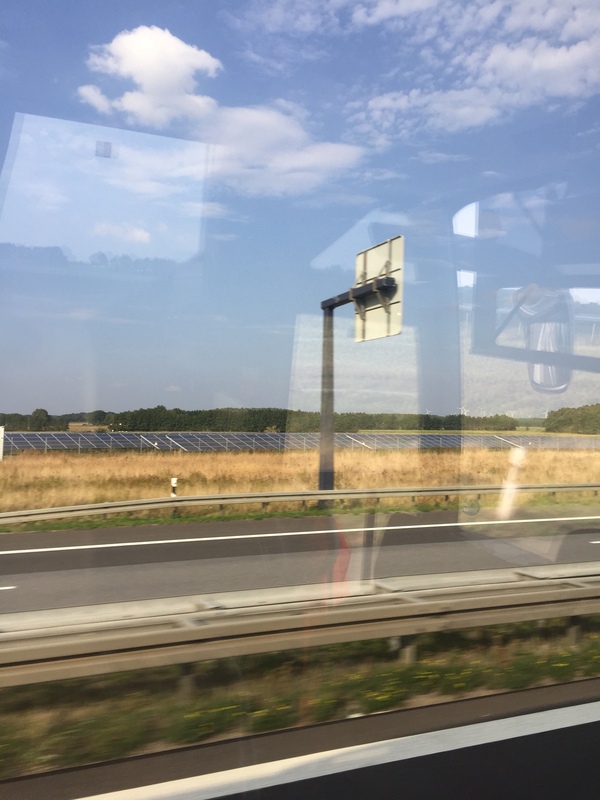 For a few minutes I was able to play Sudoku and read my book while being on the bus, which I never do back home … the Autobahn is indeed well laid out, without bumps. There was a lot of road repair work though and in many places there was just one lane to drive on. 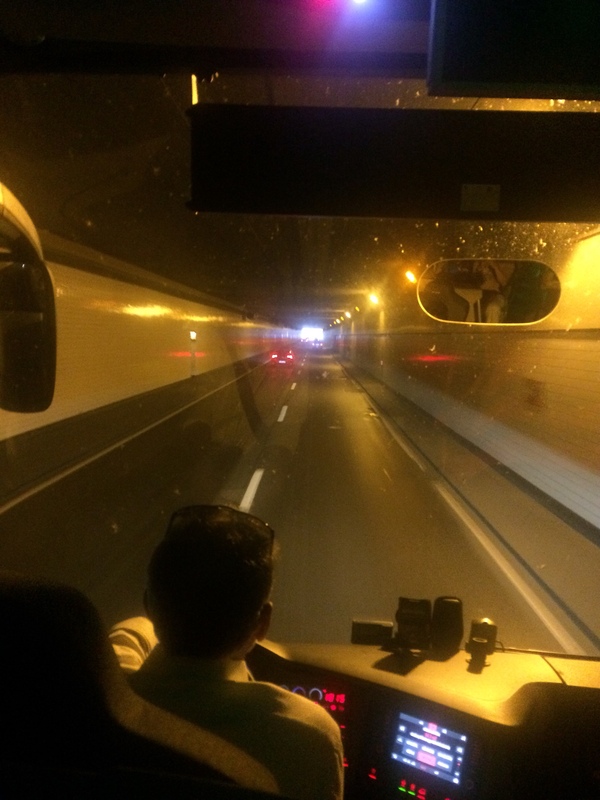 Our driver still managed to cover the 284+ Kms between Hamburg and Berlin in about 3 hours and 15 minutes or so. He managed to maintain a speed of 100 Kmph for most of the journey. 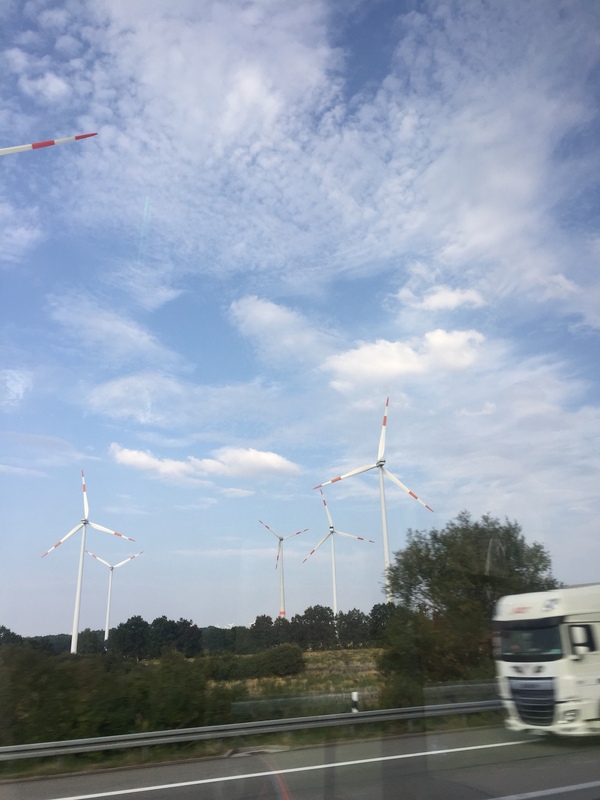 While the Autobahn was interesting …. it didn’t make us go weak in our knees because the memory of driving on the Agra-Lucknow Expressway is still fresh in our minds – 300+ Kms of pure road bliss. India is indeed progressing :). 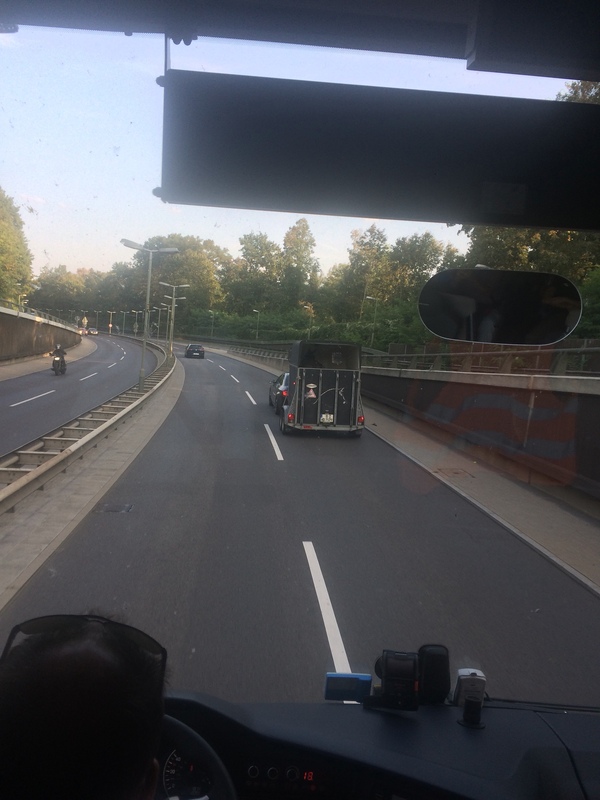 We reached the Berlin Central Bus station by about 6.30 and then walked across to the S-Bahn train station to take the train and reach our Airbnb. We got onto the right train and walked over to the Airbnb. 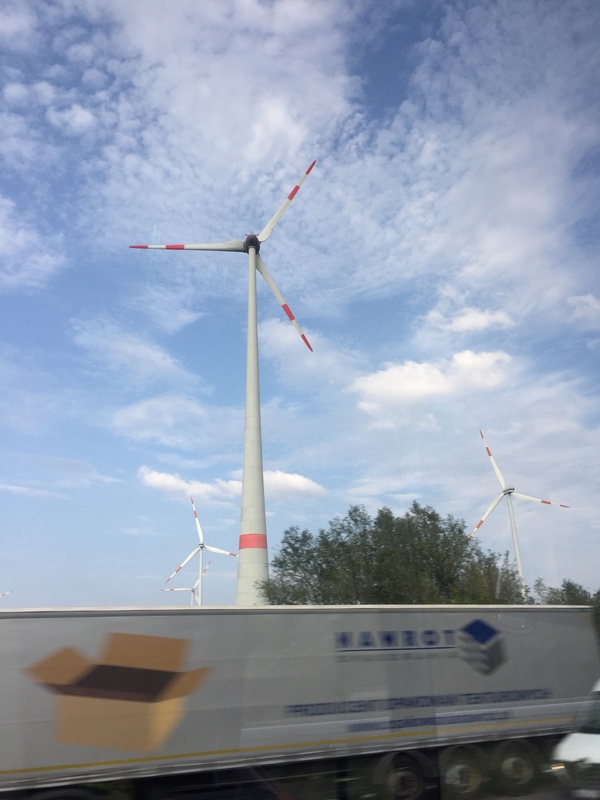 We still had energy left to visit the fruit shop that is just around the corner and also locate the Edeka (supermarket chain) in the mall close to the Airbnb. Another good day full of interesting experiences … some sad but mostly happy experiences. Berlin looks amazing !